I'm so dizzy my head is spinning! 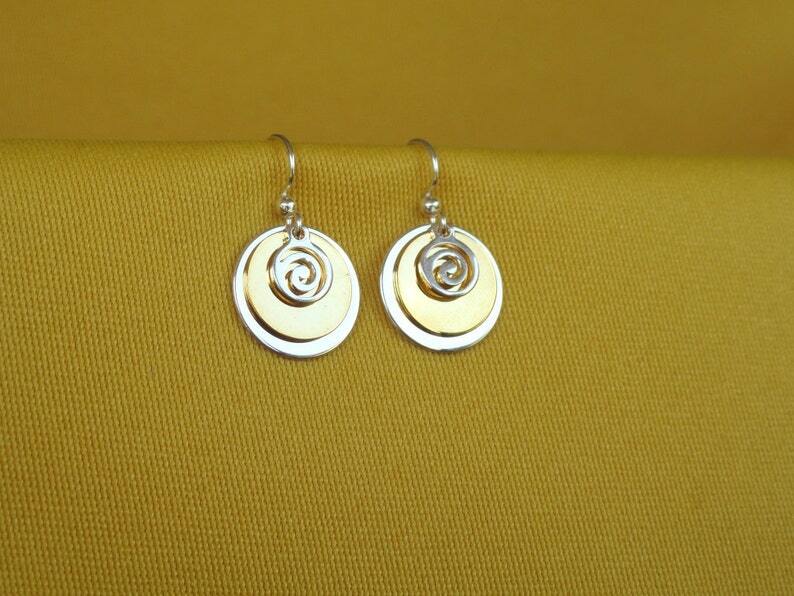 Fun bright silver swirls on top of a sweet small bright gold disc on top of a sweet larger bright silver disc hanging from a delicate bright silver plated stainless steel earwire. If you like smaller, more delicate earrings, this is the one! They measure just 1" from the top of the earwire and are 1/2" wide. Absolutely LOVE these earrings!!!!! So comfortable and versatile!!!! I absolutely LOVE these! Thank you! I just received these & I am in LOVE! Thank you! My new go to earrings. Really perfect!! Will definitely shop again.